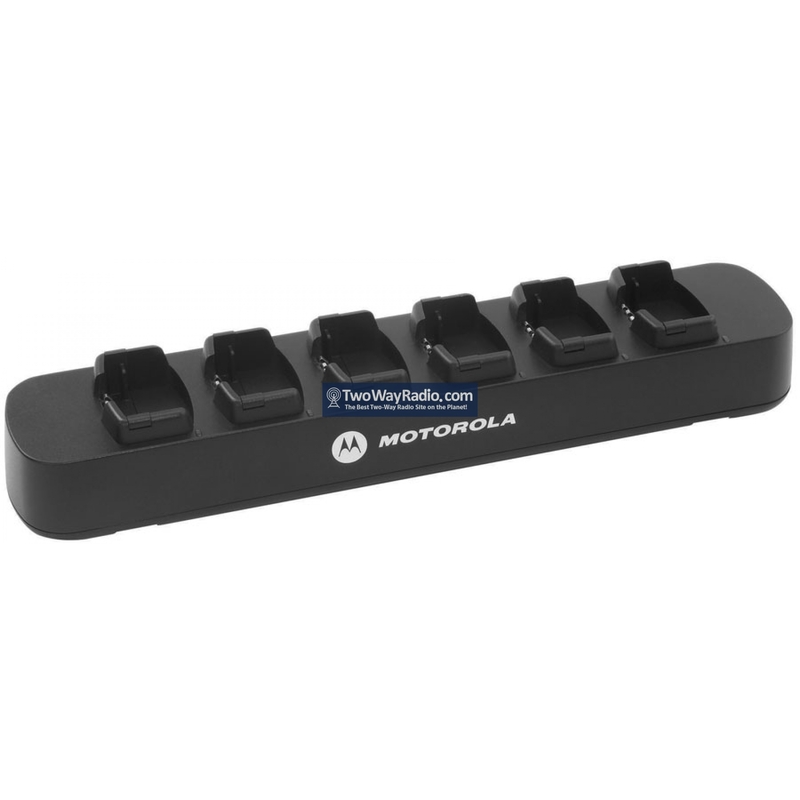 Motorola RLN6309 6-Place Multi-Unit Charger. Charge up to six radios or batteries simultaneously with this compact multi-unit charger. Each pocket includes an LED indicator, providing charge status on each battery. Includes US power supply.